Tired of endlessly packing cones? RAW steps it up to make your cone stuffing life easier with the new RAW Loader! 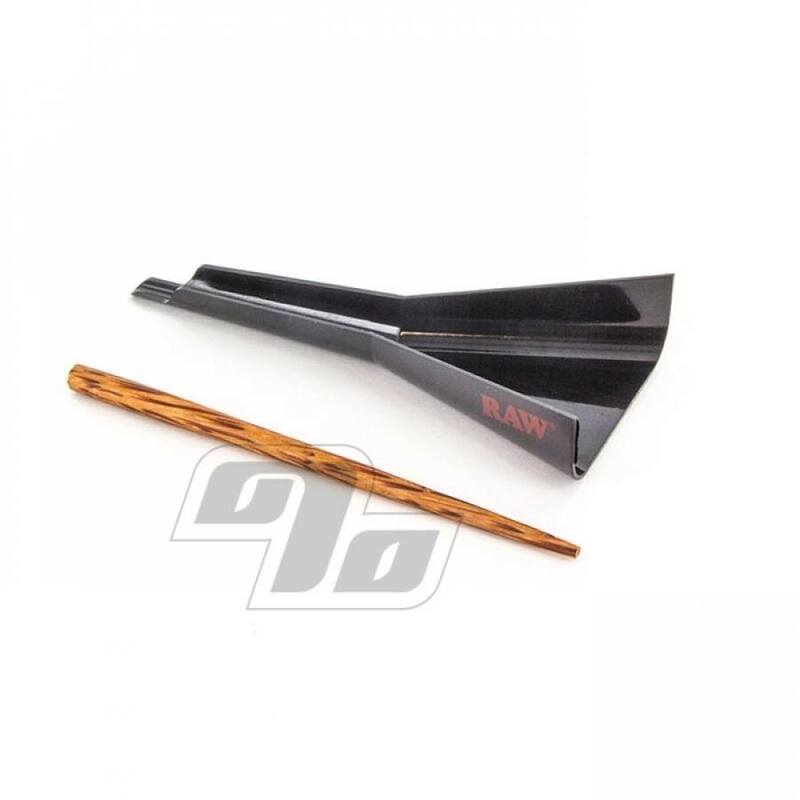 With this tool you'll be able to fill your cones up to 10 times faster. Just fill the funnel, stick the cone on the end and slide the contents in, then use the packer to pack it in the cone. 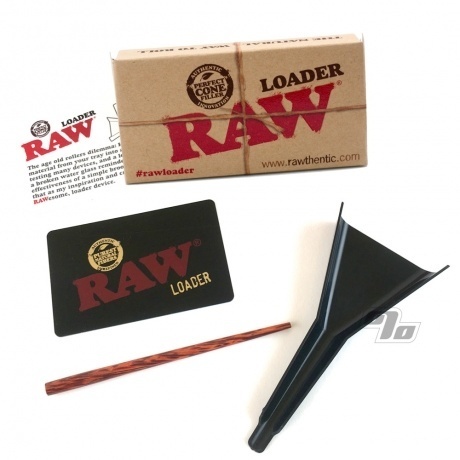 Do your prep work on a RAW rolling tray and use the loader like a dustpan to clean up. This cone loader is sized for 98 Special & King Size cones. While supplies last on this one. 1 Percent has sold only genuine RAW papers and accessories since they started way back in 2005. Seems so simple and that you think you don't need it, and you don't. BUT, it makes loading a cone FAST, SIMPLE, PERFECT. I actually use mine a lot for loading my dry vaporizer and packing it. So glad I made that tiny investment! Makes loading the cones fast and easy. A must have. This is a necessity for cones. Can't pack without. Loader makes it easy to pack in no time. This works very well. It helps so you don't burn your fingers.